Updates to Vitina's profile since your last visit are highlighted in yellow. Hello to all my fellow classmates. I retired from USDA/FSIS as a Consumer Safety Inspector at the end of 2018. I look forward to enjoying the pleasures of retirement. If you are looking to reconnect with me feel free to contact me via e-mail: fsisgogirl@gmail.com It is always good to hear from old friends. A special memory for me is the day the DECA class came to my parent’s farm. The class from Grosse Point North and South were both there. The farm was located outside of Clarkston, and at that time the area was mostly country. Most of the classmates turned out. It was a great day, filled with lots of activities like horseback riding and driving the dune buggy and of course food. Mr. Hitch was our instructor that junior year. DECA was a fun class, and I am glad to have shared that time with my fellow colleagues. Vitina Cusmano Porrett updated her profile. View. 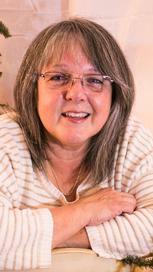 Vitina Cusmano Porrett changed her "Now" picture. Vitina Cusmano Porrett posted a message. I wish you a very happy birthday. Vitina Cusmano Porrett added a comment on her Profile. I wish you a very happy birthday and I hope life is going good for you. I wish you a happy birthday and look forward to seeing you at the reunion. Vitina Cusmano Porrett added a comment on Sue Ellis Rice's Profile. Glad to hear you are feeling well. If your happy working why retire. Hope you can make it to the reunion this fall. We share a birthday. I hope yours is as good as mine. Take care and many more birthdays. Vitina Cusmano Porrett has a birthday today. Hello Pat, I wish you a very happy birthday. Make it a fun on. Happy Birthday. Hope all is wonderful for you on your special day. I wish you a Happy Birthday and many, many more. Vitina Cusmano Porrett added a comment on her Profile. New comment added.